VERISURE ALARM OFF*(*) On the setup and connection fee of the Verisure Smart Alarm - Basic Kit. Not combinable with other offers. Verisure Alarm systems offer the best protection for your home. Many professionals will take care of your security and that of your loved ones 24 hours a day, seven days a week. Safeguard the security of your business with Verisure Alarm systems. You will have the most advanced technology and over 30 years of service experience at your disposal. 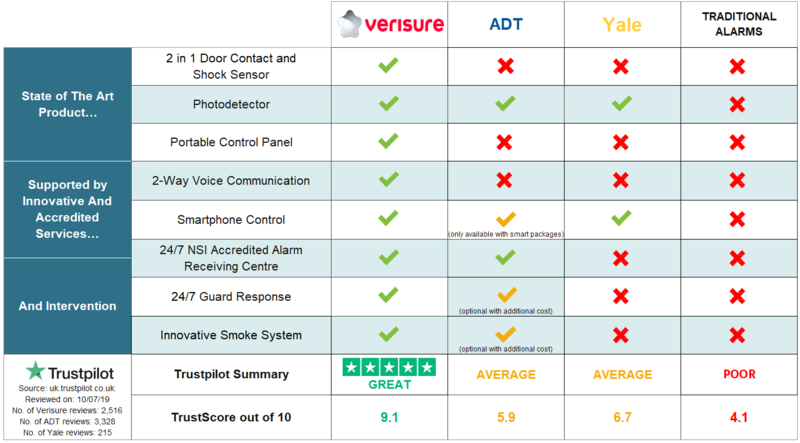 Verisure has over 25 years researching and innovating to prevent burglaries. Today, with the new ZeroVision Alarm, we can not only prevent, but also stop burglaries. We know that in a burglary every second matters, and now, for the first time ever, we can take immediate action within the protected property to stop the burglar on his tracks. During an attempted burglary, our alarm security experts at the Alarm Receiving Centre will immediately react and generate a zero visibility scenario within the protected property to impair the burglar's vision. Your home or business will be safe until the police arrives. Warranty Maintenance support included. Lifetime-guarantee. Entrust the Safety of What Matters Most to You to the Best Provider. If an intrusion or emergency is verified, we will send a Security Guard to your property. 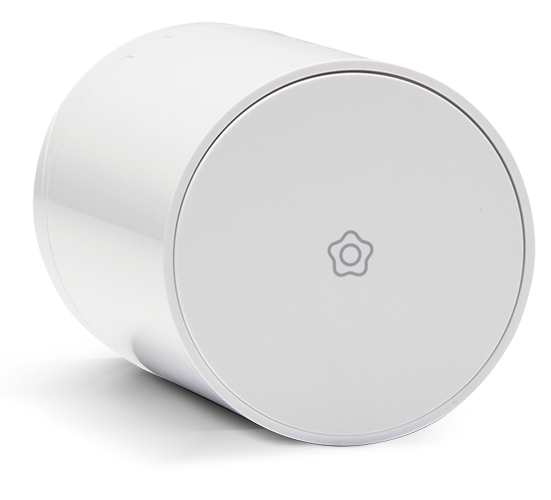 With the My Verisure app, you can control your security system from anywhere in the world. The app allows you to activate and deactivate the alarm and to see and hear what is going on inside your home or business. Using the SOS button on a Verisure Alarm System, you can ask for help during an emergency. We will call a Security Guard, the Fire Brigade or an ambulance if necessary. When an alarm is triggered, our NSI-approved Alarm Receiving Centre will respond, on average, in 45 seconds. We will then evaluate the situation and activate our Security Alarm Protocol if necessary. 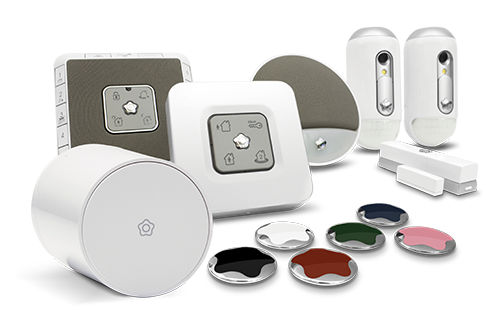 All our Alarm System devices have a lifelong warranty. We also provide 24-hour technical assistance to ensure that your alarm remains in perfect condition. As a Verisure Customer, you can benefit from a technical backup service 24 hours a day. 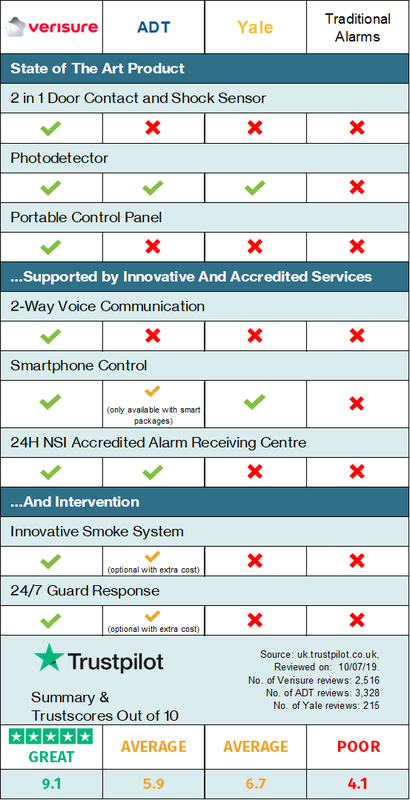 The Verisure Alarm Receiving Centre is ARC Gold-approved by the National Security Inspectorate (NSI). NSI is recognised as the leading certification body for the UK’s security and fire-protection sectors. Our Alarm Receiving Centre is NSI-approved, which means it meets the highest standards in the industry when monitoring your home or business, or when assessing and responding if a burglary takes place. The Verisure application allows you to take full control of your security, to activate or deactivate the intruder alarm from anywhere in the world and to monitor whoever is entering or exiting. Verisure Alarms offers you maximum protection and control over your security, from the comfort of your own home or from wherever you are in the world. Join the Verisure team You will be working for a leading company. Send us your CV.